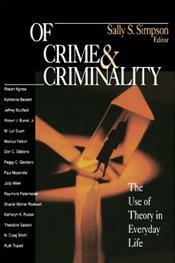 This collection of original essays is an innovative, effective way to teach crime theory to undergraduates. Each essay brings an important crime theory to life by applying that theory to a current crime event or topic of interest to students. An original introductory essay by Don Gibbons explains the origins of these different explanations for criminal behavior, and how they are similar to and different from one another.